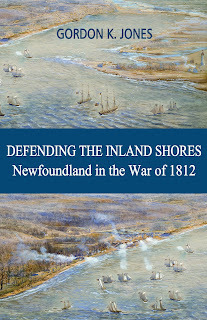 Tonight was another lecture on the War of 1812. This is the second that I have attended that was put on by Heritage Toronto. Tonight's talk was on the Anishinaabe First Nations in the War of 1812 and was put on in conjunction with the Native Canadian Centre. The centre is on Spadina just above Bloor and housed in what I believe was an fabulous old school. The talk was put on by Alan Corbiere who if you click onto the link will find is is well-versed on this subject. From my understanding, Anishinnaabe is name which combines three nations, the Ojibway, Odawa and Pottawatomi. Mr Corbiere spoke to a full room of 75 of us who had registered in advance for this free talk. Last night Heritage Toronto sent out an email asking that if anyone could not attend to let them know as there was a waiting list. The talk was a little over an hour and fifteen minutes and very interesting. Afterwards there was 15 minutes for questions and there were so many that time ran out. Once again I learned a lot and have a few things I would like to look up. In the War of 1812, very few tribes and chiefs are mentioned in British and American records. Corbiere has done extensive research to determine what tribes would be involved, the numbers that fought (close guesstaments) and the chiefs that led them. Here are some of the chiefs and Corbiere had a full story on each. He also spoke of communication between the tribes in that era. Corbiere said how as a child growing up on Manitoulin Island (he came down from there to give this lecture) he thought his people likely knew nothing about the war as it was so far away. Then he discovered that all the native tribes, even the most northerly one, knew of the Battle of Fallen Timbers fought in 1794 in Ohio, where when the retreated native forces sought safety from the Americans in a British fort, found the gates slammed shut and barred. The forces were then decimated. Distance was no barrier for communication (this event was remembered for years and made many native peoples not knowing if they could trust the British when asked to fight with them against the Americans 18 years later). Then he explained about Wampon Belts and how the belts told a story of treaties and events. Here are pictures of two belts and a drawing made by Francis Gore of a belt he wanted made. The top belt speaks of a treaty made in 1807 with William Claus. Finally here are two pictures. The first are medals presented to chiefs for their contribution, the medal on the right is for the Siege of Detroit. The next shot is their descendants wearing the medals along with others they have won. The gentleman on the left is sporting his World War One medals and the medal of his ancestor. Mr. Corbiere received a huge ovation at the end. It was very well deserved!